On Monday, the Supreme Court declined a plea of Essar Steel’s operational creditors for a stay against the tribunal’s order, paving the way for ArcelorMittal to take over the company. MUMBAI | KOLKATA: Bank of America Merrill Lynch emerged as the sole bidder in State Bank of India’s auction of its loans to bankrupt Essar Steel, but it bid for only a part of the Rs 13,000-crore loans the lender put on the block, two people familiar with the matter told ET. The multinational investment bank has bid for about one-sixth of the loans that were up for sale, and is said to have offered Rs 1,300-1,500 crore, the people said. SBI’s loans to Essar were under different heads, including working capital, term loans and corporate loans. It had total outstanding loans of Rs 15,431 crore to the firm. It is unclear whether SBI would accept the bid as there was no competition. The lender had said in the sale document that it might exercise the right not to go ahead with the sale at any stage. “SBI has not yet communicated (its decision) officially to the sole bidder,” the person said. An SBI official confirmed the auction took place as scheduled but declined to give details. Email queries sent to SBI and Bank of America ML at a short notice remained unanswered till press time. The development takes place on a day the Supreme Court cleared the decks for ArcelorMittal’s buyout of Essar Steel under the Insolvency and Bankruptcy Code. The poor response at SBI’s auction was on account of the clawback option mentioned in the sale document, one of the people said. Under this, investors will have to pay more than the Rs 9,588-crore reserve price fixed by the lender if the ongoing resolution of Essar’s debt takes place in less than a year. ArcelorMittal has offered to pay SBI Rs 11,313 crore under the resolution plan. This would leave a surplus of Rs 1,725 crore in the hands of the investor in the loan at the reserve price, if investors showed interest for the entire loans. The clawback option gives SBI the right to claim a part of that surplus depending upon how fast or slow the resolution takes place. The country’s largest lender had deferred the auction of the loans because of poor investor response. SBI has the largest exposure in Essar Steel. A few months earlier, Union Bank of IndiaNSE -2.43 % had tried to sell its Essar loans, but shelved the plan midway. Essar Steel’s committee of creditors earlier approved Arcelor-Mittal’s Rs 42,000-crore bid for the local steelmaker. 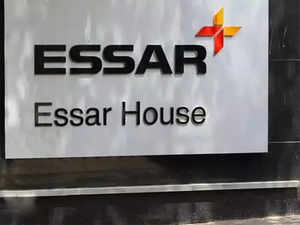 The National Company Law Appellate Tribunal then validated the proposal, rejecting a late offer from Essar promoters Ruias to fully repay the company’s entire arrears of Rs 54,389 crore. Essar Steel’s insolvency proceedings have been going on for more than twice the stipulated 270-day period for completing the process, thanks to several legal challenges. “At least 167 IAs (interim applications) have been filed,” said a person involved in the matter. The delay in finalising a deal prompted SBI to put the loans up for sale.